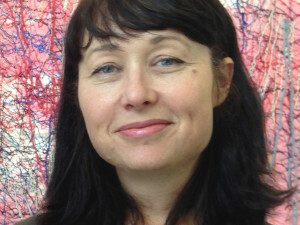 Felicity Colman is Professor of Film and Media Arts at the Kingston School of Art and Director of Research Programmes & Development at Kingston University, London, United Kingdom. She is the author of Film Theory: Creating a Cinematic Grammar (Columbia University Press, 2014), Deleuze and Cinema (Berg, 2011), and editor of Film, Theory and Philosophy: The Key Thinkers (McGill-Queens University Press/Routledge/Acumen, 2009), and co-editor of Sensorium: Aesthetics, Art, Life (Cambridge Scholars, 2007). Her current book projects are on “Digital Feminicity” and “Materialist Film”. Felicity is Lead Investigator on the Ethics of Coding: A Report on the Algorithmic Condition Project 732407 funded under H2020-EU.2.1.1. INDUSTRIAL LEADERSHIP – Leadership in enabling and industrial technologies – Information and Communication Technologies (ICT); and Vice-Chair of the EU funded COST (European Cooperation in Science and Technology) Network Grant Action IS1307 on New Materialism: Networking European Scholarship on “How Matter Comes to Matter” (2014–2018). Felicity Colman contributed the preface to Ecology of Affect / Affektökologie by Marie-Luise Angerer.